We've been having a serious invasion of millipedes lately. Millipedes are harmless to humans, they're not poisonous, they don't bite or sting, and they don't eat furniture, books, human food or anything else usually found inside a home. When they get inside a house, it's by accident and they usually don't live long; millipedes like cool, dark, wet environments, something most homes are not. For several years now, I'd see the occasional millipede inside the house, but they were fairly rare. Until the past week. This year has been unusually wet, which probably accounts for the HUGE numbers of millipedes (and other aquatic insects like mosquitos) that I've been seeing outside. And now that it's fall, it's time for them to migrate. That means a dramatic increase in the number of millipedes that have wandered into the house. Prior to this week, I was finding maybe a millipede every few weeks or months at most. Now I've been dispatching dozens in a single day. And there are hundreds more outside. 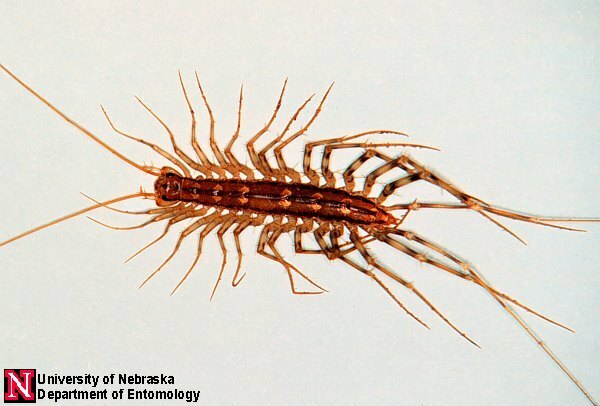 Stepping on them isn't very effective, because they like to hang out in corners so I can only get them with the edge of my shoe, however their exoskeleton is strong enough to withstand that. I can only squish them if I catch them in the open. And then the head end started crawling off like nothing happened! AUGH! ZOMBIEPEDES! They die pretty easily, but they shed those legs when you try to catch them.